According to the concept of sustainable development, it is important to develop a biosorbent for the selective and efficient removal mercury ions. 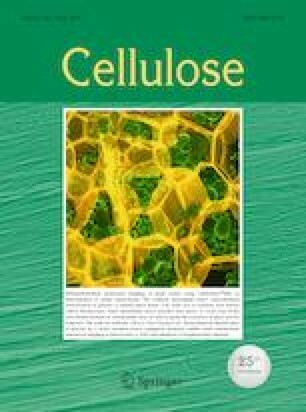 A novel biosorbent, cysteamine-modified cellulose nanocrystals (Cys-CNCs), was synthesized by a mild periodate oxidation of cellulose nanocrystals, followed by grafting with cysteamine and ultimately used for adsorption of mercury ions from aqueous solutions. Cysteamine was grafted onto cellulose nanocrystals to improve its adsorption of mercury ions, based on the Hard–Soft Acid–Base theory. The effect of pH, contact time, and mercury ions initial concentration was thoroughly investigated to optimize the adsorption process. The pseudo-second order model could accurately describe the adsorption kinetics. The adsorption isotherm study of Hg(II) followed the Langmuir model of monolayer adsorption and the maximum adsorption capacity was 849 mg g−1. Cys-CNC4.05 can rapidly remove mercury ions with 99% removal within 10 min from a 51 mg L−1 solution. Furthermore, Cys-CNC4.05 showed a good regeneration performance after four adsorption/desorption cycles. The online version of this article ( https://doi.org/10.1007/s10570-019-02420-1) contains supplementary material, which is available to authorized users. This work was supported by the National Natural Science Foundation of China [Grant No. 21376041], [Grant No. 21076033], [Grant No. 21536002], [Grant No. 21878036].